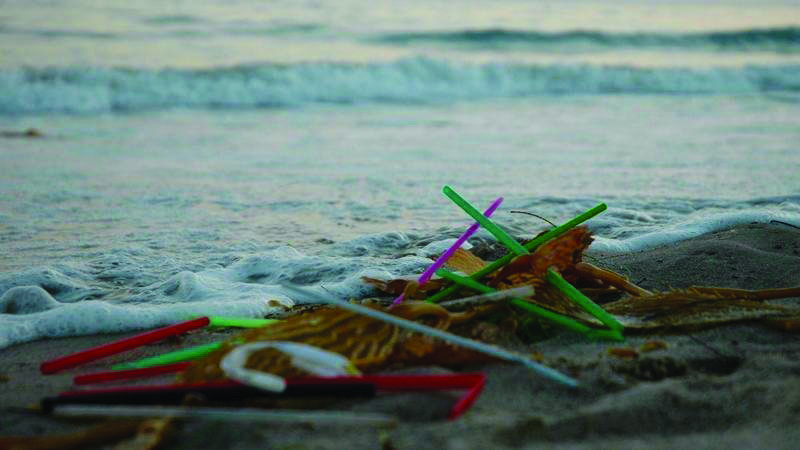 Straws accumulate the seaside in southern California. Plastic pollution in the ocean has been a controversial topic over the last 50 years. Considering how badly it has affected marine life, one would think it would have stopped. That is not the case. The United States alone uses 500 million straws a day, according to The Plastic Straw.com. In a year that could fill up Yankee Stadium over 9 times. After considering the facts, people should also consider the cruel reality of this problem. Look at Instagram accounts such as @oceanshot and @theocean, and it’s way too easy to see turtles get straws pulled out of their noses. The sad thing is that many people don’t think that plastic pollution affects them. In a sense, that is true in Lewiston because the city doesn’t don’t rely on the ocean for a water source. The nearest ocean is 3,839 miles away. But the use of straws does affect us. It’s pretty likely the majority of the residents here use a plastic straw at least once a day. It’s impossible go to any restaurant or fast food chain without receiving or having the option to use a straw. I stopped using plastic straws about a month ago, switching to metal straws or not using any at all. But every once in a while I forget to ask for “no straws” somewhere and I end up with another piece of plastic. It just brings to my attention how normal this pollution problem is for us. To make even a small change, individuals can look into buying and promoting the use of stainless steel straws. Amazon and Blue Lantern Coffee here in Lewiston, sells them in packs for under $10 with cleaners. Or follow @signatureseas to find more ways to donate to marine charities. Every little bit can help the world’s beautiful oceans and the creatures that inhabit it.